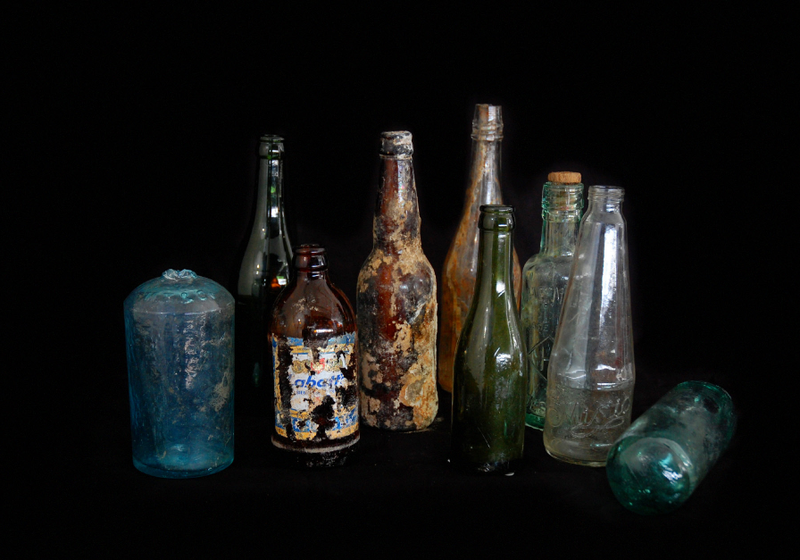 The bottles in these photographs all come from the Columbia Square site. This was the old site of the electric light station, in an area once known as “The Swamp,” near what used to be New Westminster’s western edge in the 1800s. It was also where the city’s second Chinatown stood, and where many Japanese-Canadians lived and worked. The area went through a number of incarnations. A red-brick electrical light building was on the site from 1891 to the 1940s. New Westminster was the first municipality on the West Coast to run its own power utility, turning the lights on in January 1891. For fuel, the plant’s power generators used unlimited sawdust delivered by chute from the nearby Royal City Planing Mills. 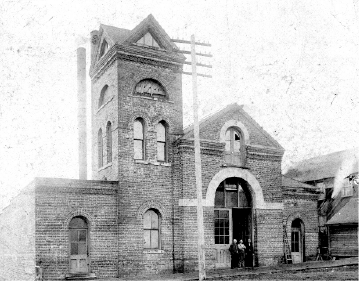 Eventually, the city started purchasing its power from the BC Electric Company and sold the building to Westminster Iron Works Company in 1907. Safeway took over the site in 1950, and then it was a London Drugs. These days, most people know it as the Columbia Square shopping centre, with Save-On-Foods and Cockney Kings. In October 2008, museum curator Rob McCullough plotted out the site map and photographed work there. As Columbia Square Plaza Ltd construction workers found objects in the ground, they collected them in the site office. Later, they donated the objects to the museum. McCullough, now Manager of Museums and Heritage Services, documented the items as best as possible within the general context of the site. The objects included many antique bricks and iron rails. The bricks were from the electrical light station. The old 1950s Safeway had recycled many of the old iron rails–presumably pulled out from the BC Electric Railway lines that once crisscrossed the city–as floor joists. The selection of bottles, however, was the most extensive. Some bottles date as far back as the nineteenth century. Others are beer bottles from the turn of twentieth. The BC Distillery bottles date from the 1920s and 1930s, and the collection includes a bottle of Welch’s grape juice from after WWII. No one knows how the bottles got there. 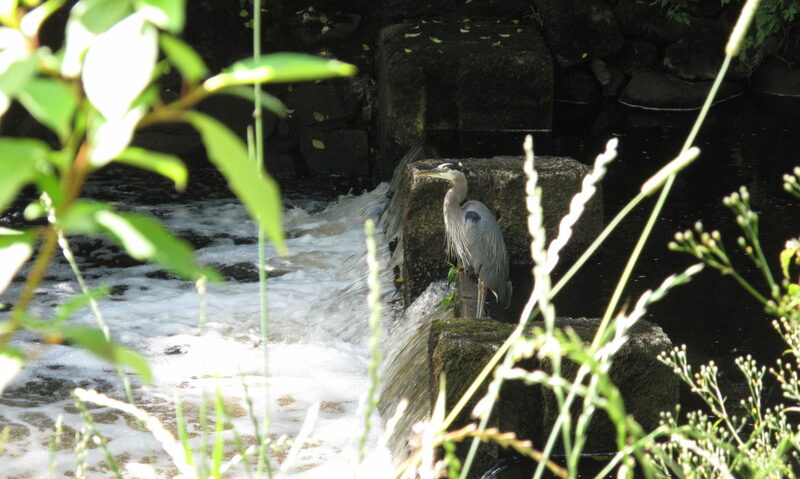 Did they drift over during the area’s flooded swamp days? Were some of the bottles drinks that people stashed in a corner, then forgot about? We will never know. What we can know is what company sold these drinks, as long as a label survived or a company name is embossed on the glass. Once we know that, we can link the company to the people behind the brand. Then we might understand a little of who the people were. From this collection, the clear glass bottle with “J. Henley” embossed across the top links us to the lives of earlier New Westminster residents. 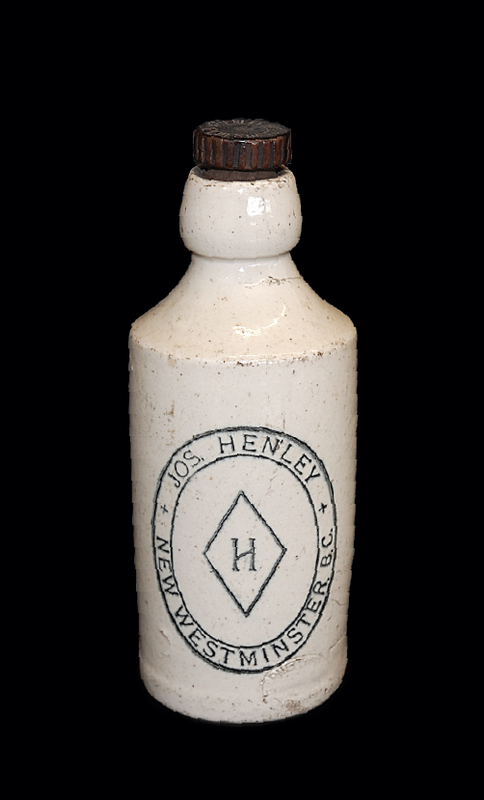 The museum has two bottles from Henley’s business. The glass one dug up at Columbia Square probably dates to around the early 1900s. An earlier one, donated separately to the museum in 1956, is a nineteenth-century stoneware bottle with a wooden stopper. 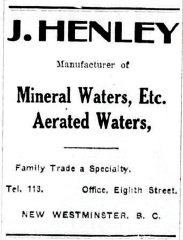 Joseph Henley was a soda water manufacturer who advertised mineral and “aerated” waters. There were other soda water dealers in New Westminster before him. Henry Hogan was in the business from the 1860s, and in the 1880s the Phillips & Son Soda-Water Manufactory on Columbia sold plain and sweet soda water, ginger beer, ginger ale, sarsaparilla, cocktail mixtures, and lemon and raspberry syrups. Henley’s soda water company started on Front Street in 1887, and later moved to Cunningham Street. The 1898 fire destroyed that location. His factory re-opened on Princess Street, by Henley’s home on Eighth. It was there that he worked until his retirement in the late 1920s. Henley came to Canada in 1871, landing first in Victoria. There he worked as a bread and biscuit baker, got married, and had three children. 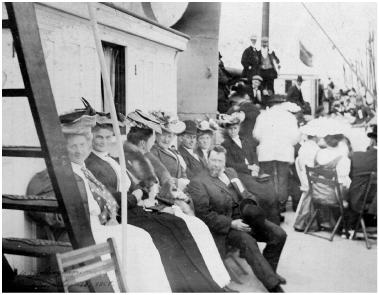 In 1887, the family moved to New Westminster. 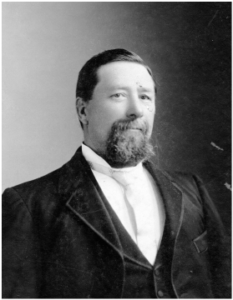 From 1905 until 1914, he served as a New Westminster alderman. Henley was popular–he was an athlete, joined almost all of the city’s fraternal clubs, and was in the Hyack volunteer fire brigade. The English-born Henley particularly advocated for cricket in Moody Park, across the street from his house. Yet not all was happy in his life. Ten days after his daughter’s wedding, his first wife, Mary, died. A year and a half later, in 1900, his younger daughter died at sixteen. There were grandchildren afterwards, and a new marriage. On a winter day in early 1903, Henley married a Scottish woman, Jennie Stewart McCohen, who would become an enthusiastic church supporter, hosting fundraisers in their home with homemade candy. Henley’s oldest daughter died on the morning of November 4, 1918, at St. Mary’s Hospital. She was a victim of the Spanish flu. 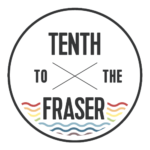 The epidemic swept over New Westminster that fall, as the First World War waned. By January 1938, when Henley himself died, he had been sick for three years. None of his children were around. The Masons, Knights of Pythias, and Elks all announced his funeral in the next day’s newspaper. It was said to be one of the largest Masonic funerals in New Westminster. From just a single name on a bottle, we can reconstruct someone’s life and shine a light on the city’s past. Imagine what history lies behind the other bottles: Labatt, the BC Distillery, and others. For an upcoming New Westminster Museum exhibition on drinking cultures in our city, museum staff and volunteers have been researching saloons, manufacturers, and stories. The exhibition, Bottoms Up: Drinking Cultures in New Westminster, opens on November 4. Anyone with stories about local bars, beer and wine making in the city, tea and coffee customs, and other drinking traditions is invited to share their experiences with the museum during the exhibition’s development. Throughout the year, watch for museum programs on the city’s saloons, drinking holes, and distilleries.